Use a homemade spectrometer to scan different materials and capture a substance's spectral "bands of light" signature. Our DIY Spectrometers make it easy to capture and observe the spectra on your phone of many unknowns substances (like Grandpa's Secret Eggnog Delight). Host a spirited spectral showdown to explore your favorite holiday warming liquor. The applications are endless. 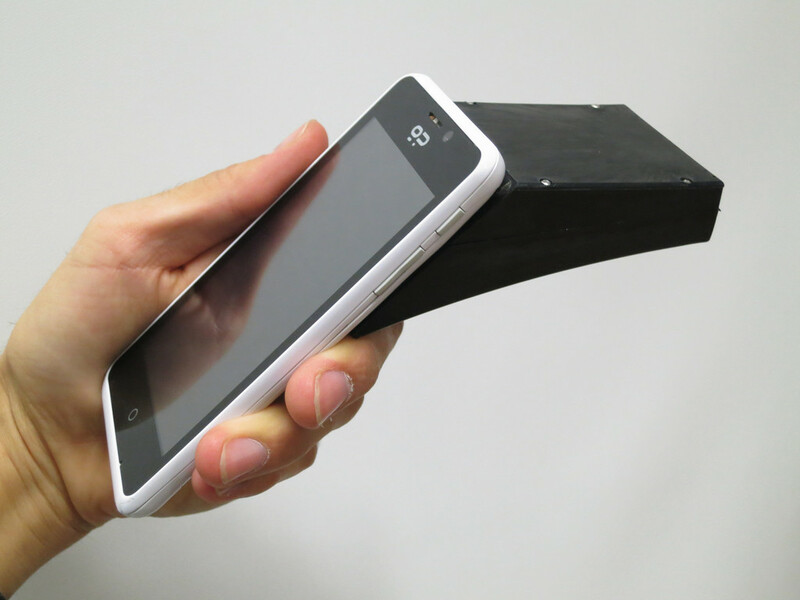 This easy to assemble foldable mini-spectrometer is a long running staple at Public Lab. This new year we are planning a redesign to move toward a more easily mass produced model, so all remaining stock must go! Regularly $10, all remaining stock of precision laser cut models discounted to $5. 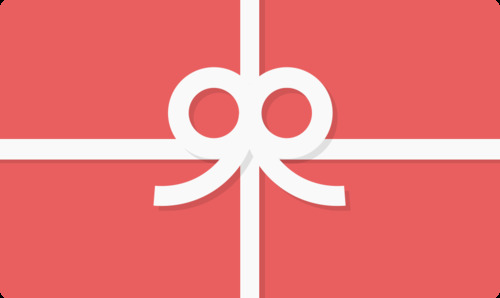 These flat kits ship first-class letter rate and are a great stocking stuffer. An "infrablue" filter can turn your webcam or point-and-shoot into a winter wonderland of "multispectral" beauty. 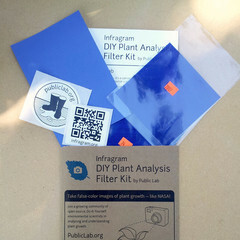 Measure photosynthetic activity in the holiday tree or those lovely rhododendrons mom loves; read about the technique at http://publiclab.org/wiki/near-infrared-camera and http://publiclab.org/wiki/infragram. With the new year comes new kits, and we will be relaunching the Infragram Filter Pack with some different features. Now this is the last chance to get packs which include the Roscoe Blue #74. Close out pricing on the "Infrablue" filter packs has been reduced to $5! 2014 has been a year of amazing growth and progress for Public Lab and we could not have done it without our community, partners, and donors. We have made important progress in helping communities collect evidence about dirty air and water where they live. Now, we need your support as we look toward an even bigger year in 2015. Join us today as a Sustaining Member so we can continue to grow our community of advocates, technologists, and innovators working to build more just and healthier communities. 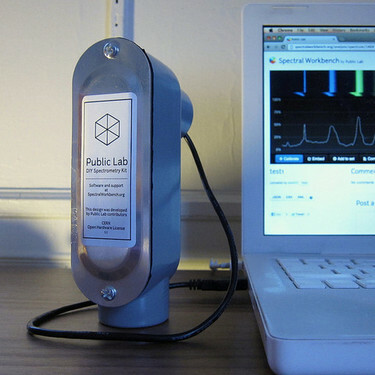 The Public Lab Kits Initiative is a part of the Public Lab Nonprofit which manufactures and distributes open hardware kits to support the Public Lab community.